PROVO, Utah — Gary Coleman, the adorable, pint-sized child star of the smash 1970s TV sitcom "Diff'rent Strokes" who spent the rest of his life struggling on Hollywood's D-list, died Friday after suffering a brain hemorrhage. He was 42. Life support was terminated and Coleman died at 12:05 p.m. MDT with family and friends at his side, Utah Valley Regional Medical Center spokeswoman Janet Frank said. Coleman, with his sparkling eyes and perfect comic timing, became a star after "Diff'rent Strokes" debuted in 1978. He played Arnold Jackson, the younger one of a pair of African-American brothers adopted by a wealthy white man. "It's unfortunate. It's a sad day," said Todd Bridges, who played the older brother Willis. "It's sad that I'm the last kid alive from the show." The series lives on thanks to DVDs and YouTube. But its equally enduring legacy became the troubles in adulthood of its former child stars. Dana Plato, who played the boys' white, teenage sister, committed suicide in 1999. Bridges was tried and acquitted of attempted murder. Coleman's popularity faded when the show ended after six seasons on NBC and two on ABC. He remained estranged from his parents Sue and Willie Coleman, who said they learned about his hospitalization and death from media reports. "One of the things that I had prayed for was that nothing like this would happen before we could sit with Gary and (wife) Shannon and say, 'we're here and we love you,'" Sue Coleman said. "We just didn't want to push him." In 1989, when Gary Coleman was 21, she filed a court request trying to gain control of her son's $6 million fortune, saying he was incapable of handling his affairs. He said the move "obviously stems from her frustration at not being able to control my life." Coleman chafed at his permanent association with "Diff'rent Strokes" but also tried to capitalize on it through minor reality shows and other TV appearances. His adult life also was marked with legal, financial and health troubles, suicide attempts and even a 2003 run for California governor. Coleman suffered continuing ill health from the kidney disease that stunted his growth. He suffered the brain hemorrhage Wednesday at his Santaquin home, 55 miles south of Salt Lake City. A statement from his family said he was conscious and lucid until midday Thursday, when his condition worsened and he slipped into unconsciousness. Coleman was then placed on life support. "Diff'rent Strokes" debuted on NBC in 1978 and drew most of its laughs from the tiny, 10-year-old Coleman. Coleman was an immediate star, and his skeptical "Whatchu talkin' 'bout?" — usually aimed at Willis — became a catchphrase. In a 1979 Los Angeles Times profile, Sue Coleman said her son had always been a ham as a small child. 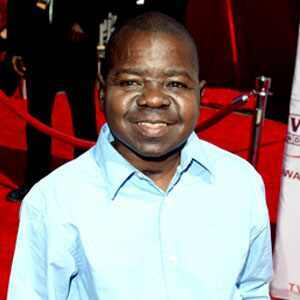 He acted in some commercials before he was signed by T.A.T., the production company that created "Diff'rent Strokes." The attention his starring role brought him could be a burden as well as a pleasure. Coleman said in 2001 that he would do a TV series again, but "only under the absolute condition that it be an ensemble cast and that everybody gets a chance to shine." Coleman's kidney disease required dialysis and at least two transplants. As an adult, his height reached only 4 feet 8 inches. He continued to get credits for TV guest shots and other small roles over the years. But in 2001 he said he preferred earning money from celebrity endorsements. "Now that I'm 33, I can call the shots," he said. "And if anybody has a problem with that, I guess they don't have to work with me." Coleman finished in eighth place with 12,488 votes, or 0.2 percent, just behind Hustler magazine publisher Larry Flynt. Running for office gave him a chance to show another side of himself, he said at the time. Legal disputes dogged him repeatedly. And in a 1993 television interview, he said he had twice tried to kill himself by overdosing on pills. He moved to Utah in fall 2005, and according to a tally in early 2010, officers were called to assist or intervene with Coleman more than 20 times in the following years. The responses included a call where Coleman said he had taken dozens of Oxycontin pills and wanted to die.